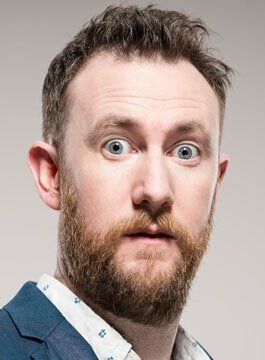 Alex Horne is the Award Winning comedian and creator of the UKTV show Taskmaster, which first broadcast in 2015 with host Greg Davies. Alex is also star and co-creator (alongside Tim Key and Mark Watson) of BBC Four’s comedy quiz show We Need Answers. Alex has established a reputation among critics, comics and audiences as a thoughtful and original stand-up, writer and solo performer. Since winning a Chortle Award for Best Breakthrough Act for his debut show in 2004, Alex has taken nine solo shows to the Edinburgh Fringe, earning a Perrier Newcomer Award for Making Fish Laugh, and a Foster’s Edinburgh Comedy Award nomination for his 2014 solo show Monsieur Butterfly. He has also released two books based on his critically acclaimed Edinburgh shows; Birdwatchingwatching in 2009 and Wordwatching in 2010. Alex is the creator and host of the comedy music show The Horne Section. Together, Alex and his band create a heady mix of stand-up comedy, cabaret performances and outlandish musical talent. Alex Horne and Tim Key also offer a comedy quiz, complete with computer graphics and sound effects, and purpose-built for any occasion. As quizmasters on BBC4’s We Need Answers, they perfected the roles of question master and scorekeeper and can tailor the questions and rounds to people or companies. Alex is also available with ‘The Horne Section’ – brilliant music combined with interactive comedy. The Horne Section is unlike any other entertainment package.